Thomas “Arlo” Ventre has been riding motorcycles since 10 years old -- mopeds, dirt bikes, motocross. You name it, he rode it. When he was 18 years old he started riding a friend’s 1969 Harley Davidson Sportster Chopper for a small rental fee - $20. Arlo loved it so much, he offered to buy it, but his buddy wouldn’t part with it. 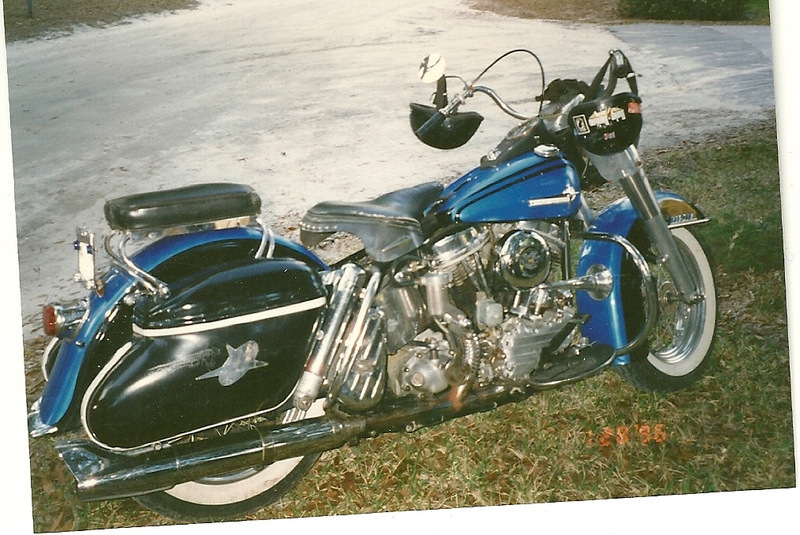 “You don’t want a chopper,” his friend said, “You want a panhead.” So in October 1984, Arlo got himself a 1962 panhead. That next August, he rode it to the Sturgis Motorcycle Rally from Florida via Texas, New Mexico, Colorado, Wyoming. And that was that. He fell hard and in love with the Sturgis Motorcycle Rally for many reasons: the people of South Dakota, the Black Hills, and everything that the Rally offered and represented. “The people of Sturgis, they are so generous. So welcoming,” says Arlo. 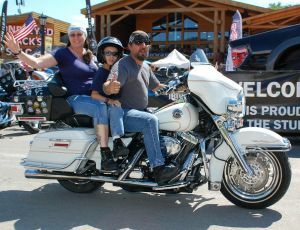 For Arlo, returning to Sturgis every year is effectively a “family reunion.” His now 14 year-old boy has been coming since he was three years old, and with his wife Nancy, they have developed life-long friendships with people that come together every year in this incredibly special place. Mike Scoggin, of Tucson, Arizona, is another long-time friend of Arlo’s, and has been coming to Sturgis every year since 1979. Mike celebrated his 21st birthday with the same group of people as he celebrated his 57th birthday with last year. Mike camps in Arlo and Nancy’s back yard, lovingly referred to as “Squaburbia,” among a sea of tents and bikes. “We meet up with the same group of people, year after year. It’s the same routine every year,” says Mike. But one year it wasn’t the same, and Mike met someone new. Her name was Jill. And they got married. The Rally Family had grown yet again. Arlo reminds that the history of the Sturgis Motorcycle Rally – what he calls “the true Rally assets” – are the races. “The races. These are so important to preserve for the Rally. It’s what the Rally was founded on, “ he says. Whenever you come, however you come, whomever you come with, and whatever you come on, the Sturgis Motorcycle Rally has something for everyone. And when you do come, look for Arlo, Nancy, Mike and Jill. They’ll be happy to welcome you to the Rally Family. * Stacy rides a 2106 Heritage Softail Classic, and is a writer for the Sturgis® Motorcycle Rally™.